18 Ballater Street formerly 18 Govan Street. The Old Hampden Bar early 1970s. There has been licensed premises here since 1877. The first licensee was well-known and respected wine and spirit merchant Peter Buchanan. Mr Buchanan set up some of the best bars in the city, including, 9 Dundas Street, 76 Glassford Street, 122-24 Canning Street, 148 Dumbarton Road and his offices were around the corner from his Glassford Street premises in Garthland Street. Buchanan Scott & Co., were also wholesale and retail wine and spirit merchants, importers and exporters. The company traded in Glasgow for many years but gave up these premises in 1887. Robert Wilson then became licensee in that same year. He paid an annual rent of £99 and had other pubs at 164 Rutherglen Road at the corner of Rose Street (the Boundary Bar) and 13 Stirling Road. Robert continued to serve the locals here until 1910. Another well known wine and spirit merchant Peter Kieran acquire the licence in 1910. 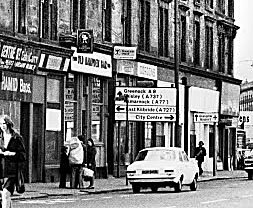 Mr Kieran also had a public house at 114 Main Street, Maryhill called Peter Kieran and Hectors Bar. Peter lived with his family at 6 Garrioch Drive. Mr Kieran continued as licensee until after WW1. The licence was then taken over by Mr A Cronin in 1921 till 1926. 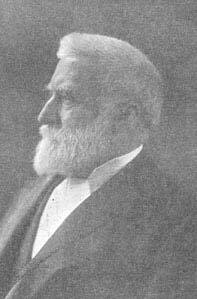 James Procter took over in 1927-1933. William Leo R. Duthie from 1934 until 1950s, when he passed away his wife took over the business from the 50s and 60s. Another licensee was Eamon P O'Doherty from the 1960s to the pub was finally demolished in the mid 1970s. The Gorbals group includes Mrs. M. Malarkey; C. Sweeney; M. J. Heraghty, convener, and Mrs. Heraghty; G. Watt (Bell's); Eamon O'Doherty, and Mrs O'Doherty; H. Gallagher, and Mrs. Gallagher; and J. Donaghey and Mrs. Donaghey. 1974.